Circa 1889. This three-story shingle-style Victorian manor garners a great deal of attention from passersby with its appealing architecture and commanding hilltop location. 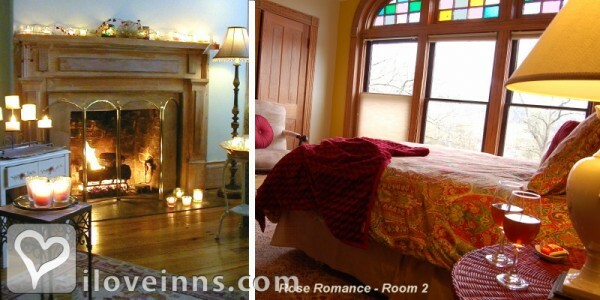 Romantic rooms offer tall arched windows, 11-foot ceilings and spectacular views. Fashioned from handmade bricks, it was once home to Major Joseph Wagner, who, like many of his neighbors in far northeastern Tennessee, served on the Union side. The restored home features five guest rooms. A 1910 oak Craftsman dining set complements the oak Stickley furniture (circa 1997) that decorates the living room. Fireplaces, whirlpools and stained glass add luxury to the guest rooms. 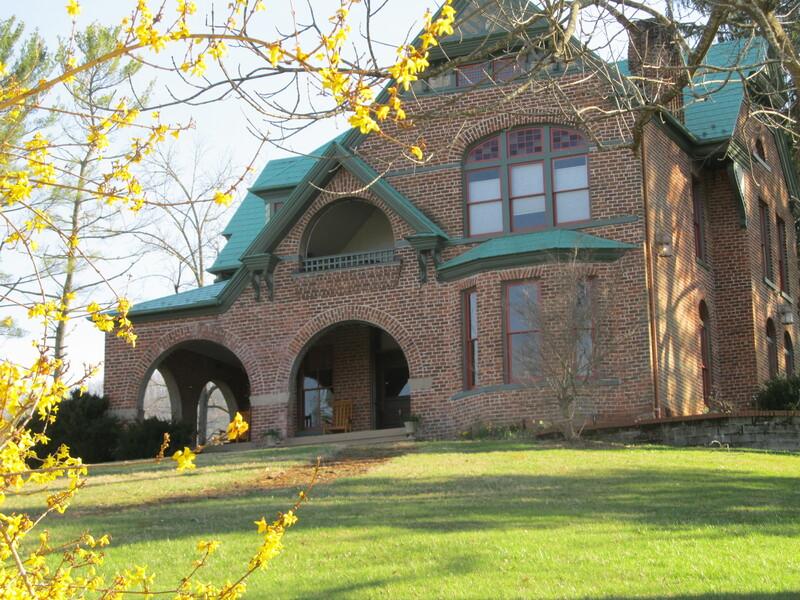 Prospect Hill boasts views of the Appalachian and Blue Ridge Mountains. 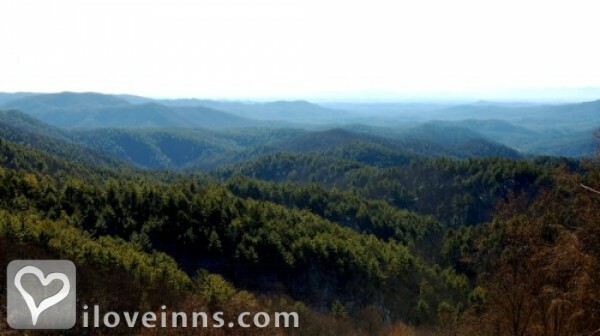 From the front window, guests can see three states: Tennessee, Virginia and North Carolina. The inn is within an hour of the Blue Ridge Parkway, Appalachian Trail and Roan and Grandfather mountains, the Virginia Creeper Trail and 25 minutes from Boone, NC. Payment Types Accepted Include Visa, Travelers Checks, Master Card, American Express, Discover, Diners Club and cash. This property has 5 total guest accommodations with private bath, 5 with fireplaces, 3 with whirlpools, 1 suite and 1 conference room. 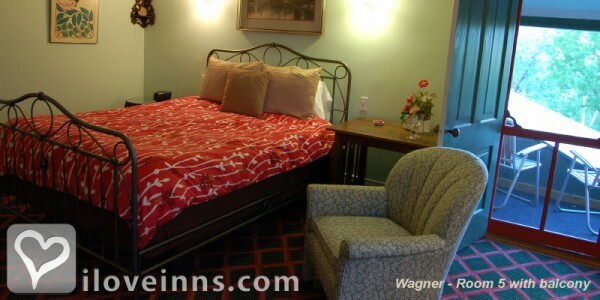 The types of beds available include Twin, King and Queen. The fireplaces and whirlpool tubs and the way the rooms are large, lovely, welcoming, soothing and very private. Great place to read and rest. I encourage recycling by placing special bags in all the rooms and all items are taken to the recycling center. 3 acres at the inn there is a wedding garden with perennial plants near the inn. 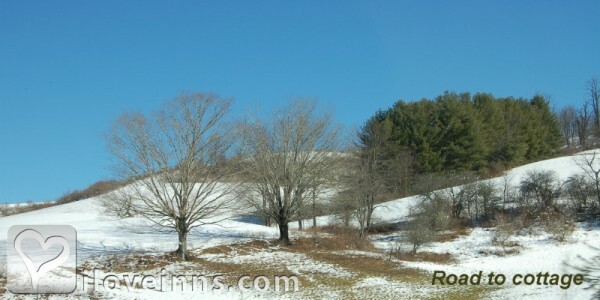 Lots of tall, ancient hemlocks and 28 walnut trees. 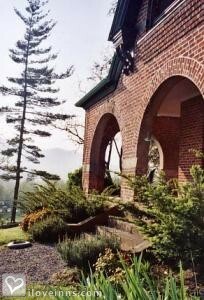 Old brick circular path dominates the front hill. Garden is always a work in progress. Some areas "wild" to encourage birds and wildlife. Two days during certain peak weekends. Three days during NASCAR events. Regular: Seven days in advance or charge for one night. High season: 7 days in advance. NASCAR: 60 days/deposit required. Whole house/group 50% payment in advance, remainder 14 days in advance. Wedding room: deposit required. 4 pm / 11 a.m.
Rare shingle style in brick. Built by a Union major after the Civil War in one of the most Republican counties in the U.S. One of only two historic homes in the town. Always owned by upper-class people who held jobs while maintaining a small working farm as their home. Suba's Restaurant (Mountain City) good food/value, Wildflower (Boone, NC) finest dining in the area, The Farmhouse (singing waiters) (Mountain City)., The Tributary (Mountain City), Italian, steaks, The Bistro, Boone, NC, French-Italian., La Cucina, 10 mins from Inn, authentic Italian , Tributary. The dates this property will honor the certificate are Anytime, November-March, subject to availability,Sunday-Thursday, not valid on NASCAR weekends or Oct. 1-25. Will accept at last minute (no more than 24 hours ahead booking) B&B rooms only. This is a different sort of French toast--a bit chewy and so good you don\'t really need syrup. Placed cut side up and touching they will puff and form florettes. We are house renovators. We start with the basic recipe for renovation--and work our magic on old houses. We cook the same way. With this recipe we took a basic muffin recipe and worked with it until this chocolate lover found heaven. This recipe hails from North Georgia. It\'s firm, tasty and loves the addition of toppings and/or \"stir ins.\"
Kelly and I had been looking for a romantic vacation getaway and stumbled upon Prospect Hill. We thought it was perfect. Having never been to a B&B, we didn't know quite what to expect. But with such a serene environment surrounding us in "the romance room" we were eager to arrive. our room was so cozy and romantic, the view was breath taking, and Judy and Robert were such kind and generous hosts. This trip was truly perfect! Such a marvelous stay at Prospect Hill B&B. We love the combination of historical renovation and modern comfort found in this beautiful home. This is our second visit, and we always look forward to the delicious breakfasts. Thanks for sharing your recipes! Thanks, too, for your hospitality. We'll be back. My husband and I and two of our friends decided to take a motorcycle trip and ride on Route 421 �The Snake� instead of staying in an average hotel or motel we decided to make it a unique experience, after all, it was my anniversary weekend. Judy and Robert were wonderful, they emailed us some maps with for good riding and when we got there they gave us another map and pinpointed all the cool places to visit. They made our stay great, and we felt very welcomed and had plenty of space. The house is absolutely gorgeous, the bed was comfortable and I truly enjoyed the Jacuzzi tub, especially after a long day of riding. Breakfast was remarkable with homemade pancakes and syrup � my mouth waters just thinking about it. I would definitely recommend staying at Prospect Inn and if we ever make it back to Mountain City, TN we will definitely visit again. Even though it's "in town", Prospect Hill sits on a hillside with gorgeous mountain views in all directions. We loved our romance room. The towels were fluffy, the whirlpool tub and rainshower were so relaxing and enjoyable and the bedding was crisp and fresh. I'm a tea drinker and really appreciated the good selection of high quality tea at breakfast. The innkeepers were very helpful with directions and ideas for daytime activities. While on our fall trip, we stayed at 3 B&Bs and one cabin. Your B&B was by far the greatest of all. :-) Innkeepers Judy and Robert were by far the most easy going and comfortable B&B owners me met during this trip. I love how involved the are in their community. We've been thinking about how and when we can get back to Mountain City. Absolutely Perfect Wedding We chose Prospect Inn for our elopement wedding, which included a two night stay. Everything was absolutely perfect! Judy and Robert made us feel at home the moment we arrived and paid attention to every detail. We would recommend to anyone considering an elopement wedding. We hope to visit in the future for anniversaries! Marissa D.
Wonderful restored home that offers a perfect place for a romantic getaway. Wonderful breakfasts and delightful hosts that obviously pay attention to the smallest details. The most wonderful thing I'll always remember about our stay is, by far, the wonderful home we came back to each night. This inn is beautful and full of history. The inn was comfortable, clean and the breakfast delicious. Staying here again would be a test for me as I did not find the innkeepers very pleasant. They do provide extras etc. but they have a way of making you feel slightly unwelcome. Maybe I caught them on a bad day, however it made the stay a little uncomfortable and I was almost relieved to check out. Marquee Magazine, Old-House Journal, Haunted Inns of the Southeast, USA Today (Sleep with a Ghost), Arrington's (named Most Romantic Hideaway), Best Southern Inn, Tennessee Magazine, Four Points Magazine, Blue Ridge Country Magazine, Fresh Outlook Magazine, the Marble by Joe Tennis (2008) Tri-Cities Best Home Magazine (2016), WCYB-Bristol, VA, Oldies Knoxville, Voted Most Romantic Hideaway (Arrington's-2003), Best Southern Inn.